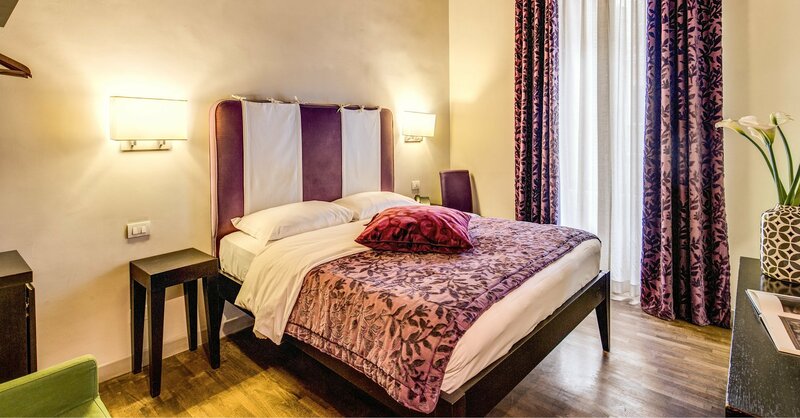 Warm and homely Bed and Breakfast accommodation just a few metres away from one of the eternal city’s most famous landmarks - the Trevi Fountain! 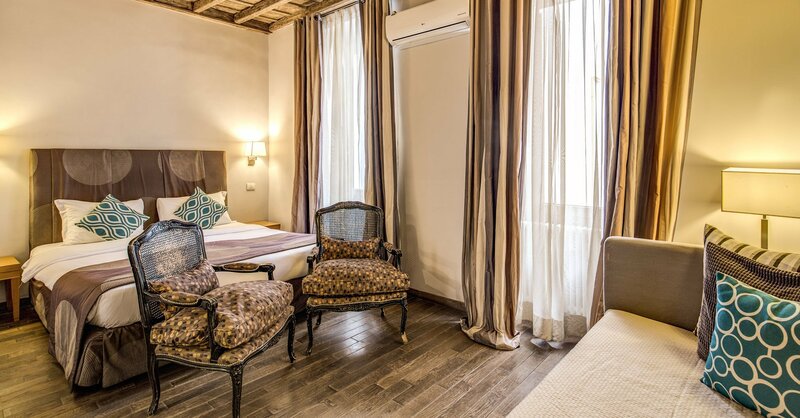 Our top quality Rome accommodation offers you luxury and a genuine, Roman ambiance thanks to wooden ceilings and modern décor, creating a rustic yet contemporary atmosphere. 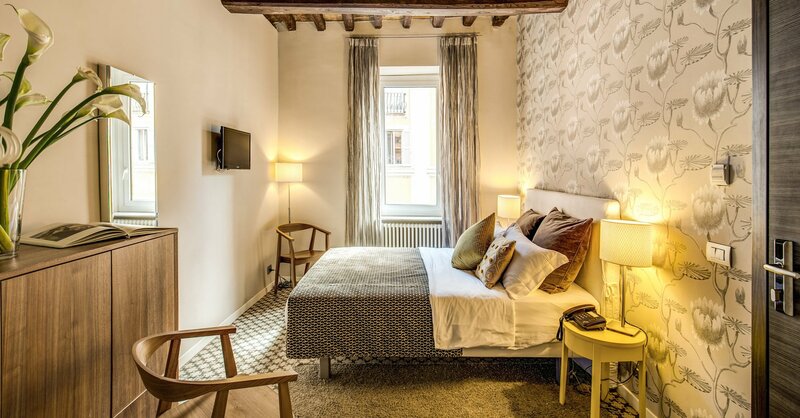 Opened in 2006 and having undergone further improvement in 2010, the TREVI BB Beau Boutique Hotel occupies the upper floors of a 17th century listed building in the historical centre of Rome. 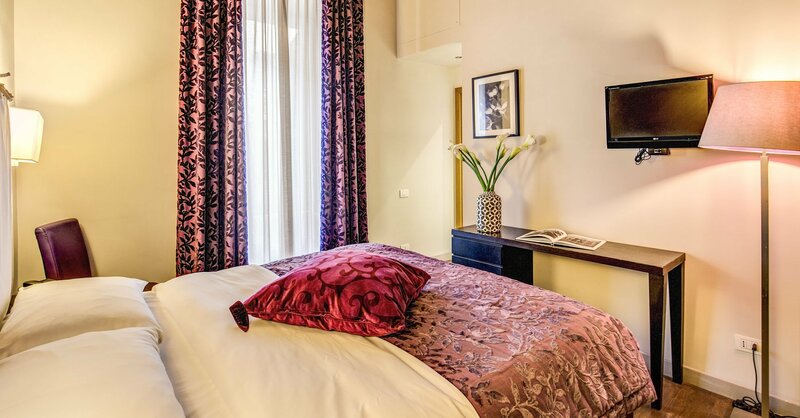 In the immediate vicinity you’ll find other famous landmarks such as Via Veneto, Piazza della Repubblica, the Spanish Steps, the Trevi Fountain and Bernini’s statue of Triton in Piazza Barberini. An executive quality accommodation in the real heart of the city of Rome, the TREVI BB Beau Boutique Hotel provides a discreet yet consummate professional concierge service which includes airport transfers and city tours, while all 16 of our comfortable guest rooms have private en suite bathrooms, internet access, TV and quality designer fixtures and fittings. 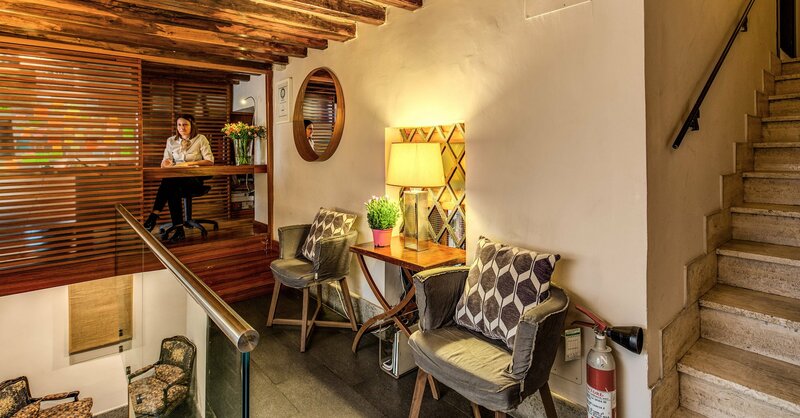 Enjoy our photo gallery in order to get an idea of the ambiance, while our location page shows you all you need to know about the immediate surroundings and the geography of Rome. To book online safely and securely and get instant confirmation on your reservation 24 hours a day, please visit our online booking page. No lift/elevator, rooms are located on upper floors. JesperTrampedach - Reviewed 02 October 2017 - Great location - value for money. Great location just 50 m. from the Trevi Fountain. In walking distance from most of the tourist attractions. The staff is very nice and helpful. The rooms are nice and very clean. The hotel is placed top on a very good restaurant. Ale B – Reviewed 25 August 2017 - The location was perfect, so close to centre of the city and public transportation stop. The staff was super nice with me and my mom. Breakfast was perfect and delicious. Every day the room was cleaned and the hotel is super secure. You have supermarket, restaurants, ice cream shop and everything you need to enjoy Rome.